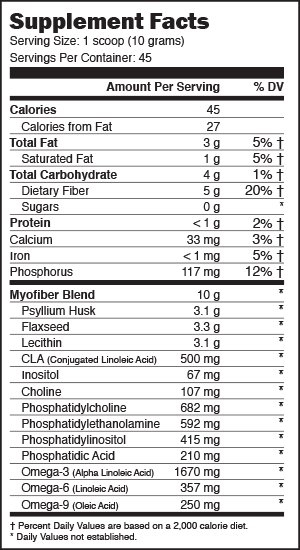 MYOFIBER is a complete whole food supplement that not only contains fiber but has added quality key ingredients like essential fatty acids (Omegas 3-6-9) and nutrients such as flaxseed, psyllium husk and lecithin that assists with the body’s ability to get leaner and healthier from the inside. 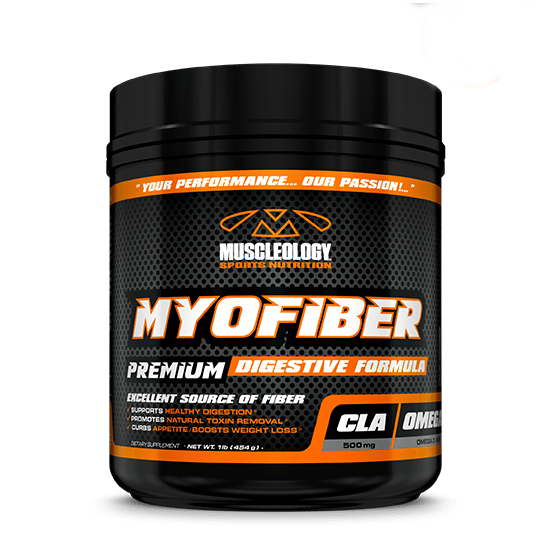 In addition to those benefits, MYOFIBER also slows the absorption of glucose (sugar) into the body. This means you’re going to avoid those nasty sugar highs and lows. MYOFIBER inhibits the re-absorption of bile into the system. Bile is a fat emulsifier and therefore if you inhibit bile re-absorption, your liver needs to get its cholesterol fix from your blood. 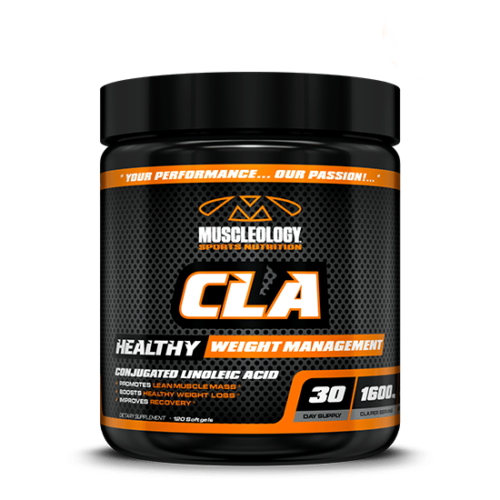 This means lower blood-serum cholesterol levels. 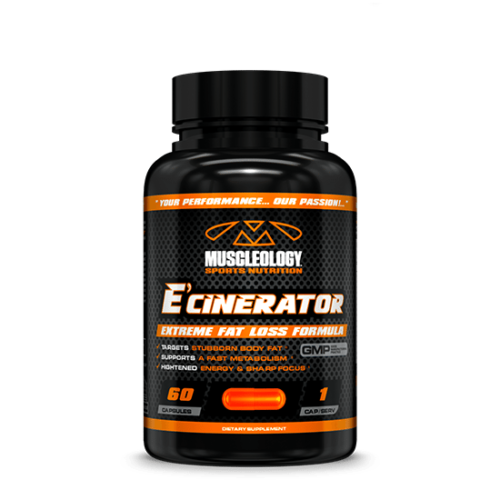 MYOFIBER is optimal for maintaining a lean physique and building muscle. MYOFIBER slows the digestion of protein, allowing the body to improve the absorption of protein and nutrients ingested in meals and making it available over an extended time period, all while stabilizing insulin and blood sugar levels. 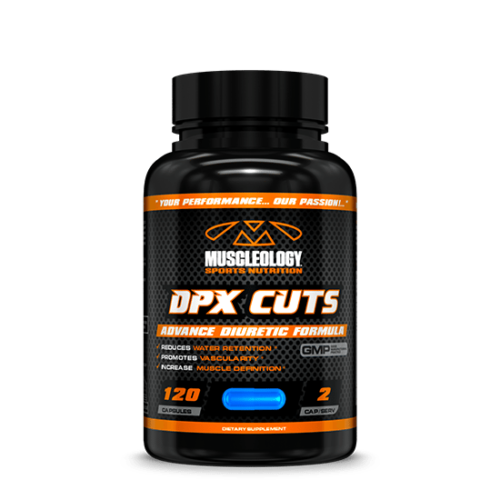 Mix one scoop in 8-16 oz of water and consume 1-3 times daily. Many athletes will mix one scoop of MYOFIBER in each of their NITRO-UP shakes for added health benefits.